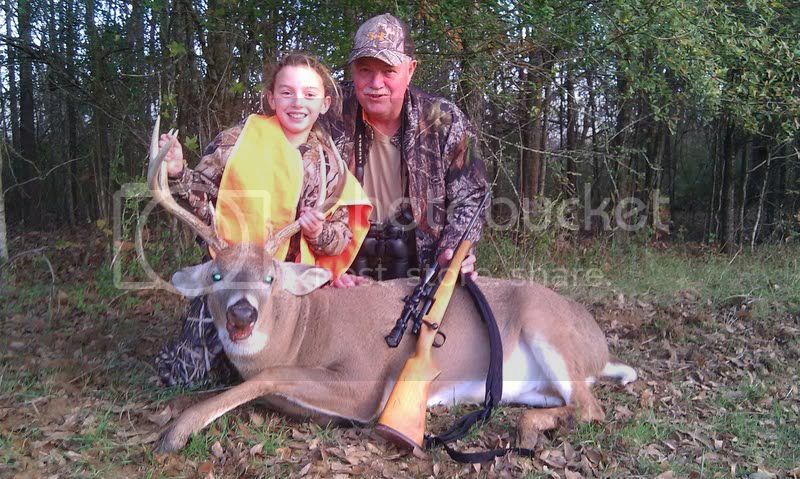 My 10 year old daughter killed her first buck this afternoon hunting with me and her Pop(my dad). She dropped him in his tracks at just under 100 yds with a 7mm-08. 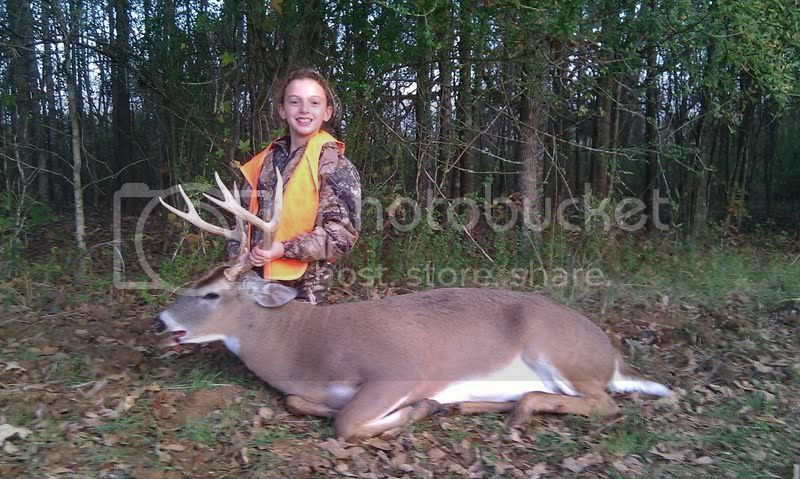 He is a 17" wide 8pt that weighed 230. Awesome hunt especially for me and the old man. 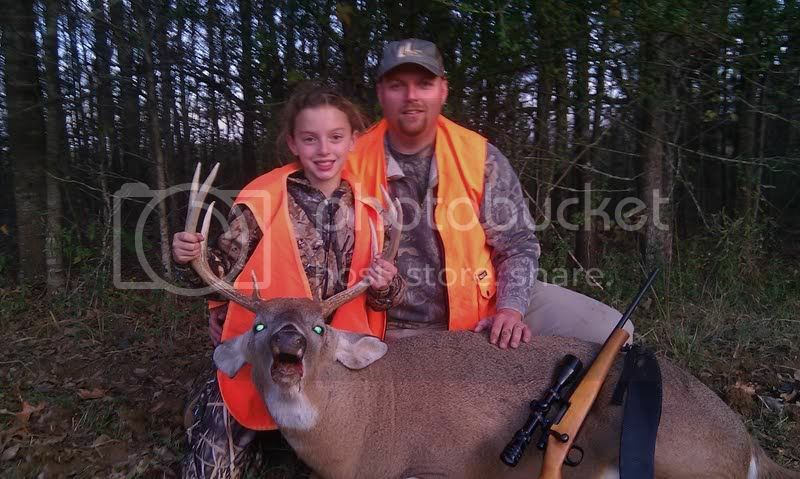 As a side note, my son killed his first buck last year on the afternoon of the SEC championship game. Seems to be a good day for us to hunt!